Do you know a child who is extremely shy, lacks confidence and worries a lot about what other people think of them? They may have social anxiety disorder. How do you know if the social anxiety is serious? Most children, teenagers and adults can act shy at certain times or in certain circumstances. Shyness becomes a problem when it happens often and starts to affect a young person’s life. We then usually use the clinical term, ‘social anxiety disorder’. Research suggests that social anxiety disorder is the most common mental health problem in children and teenagers. Around one child in every typical Australian classroom will meet criteria for social anxiety disorder, while up to a dozen will be shy. It can occur at any age, but usually presents in middle childhood or the early teenage years, when young people tend to become more self-conscious. Knowing when to intervene can be difficult. However, if the child’s social anxiety is impacting their life by preventing them from doing the things they want to do (e.g. going to parties, making friends, talking to others), or their academic achievement is undermined by their lack of participation in class, then you should consider seeking help. Work together with the child. Encourage and support them to gently and gradually face their feared situation (without forcing them against their will). Challenge their unrealistic thoughts about what people might think of them. For instance, the ‘everyone is staring at me’ thought can be challenged by asking them to count the number of people actually looking at them. Help the child join in a group extracurricular activity and talk to the child about friendships. Break the situation down into steps – encourage the child to first talk to one safe or familiar person, and then two the next day, and so on. Reward the child when they do face their fears. There are also a number of evidence-based programs and services that can help reduce children’s social anxiety. 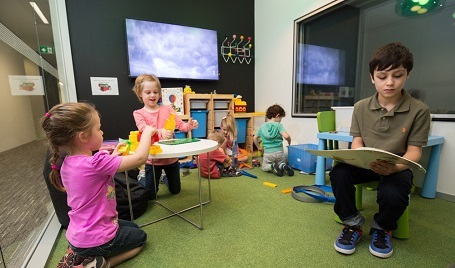 The Cool Kids Program, is an evidence-based 10-session program that has been used at the Centre for Emotional Health Clinic for almost three decades to treat anxiety in children and teenagers. The Centre for Emotional Health Clinic is a world leader in research and treatment of child anxiety and is currently running a research treatment program, the Cool Kids Social Anxiety Program, which specifically targets and treats social anxiety disorder. Visit our website, call the clinic's friendly team on 9850 8711, or email ehc.admin@mq.edu.au for more information.